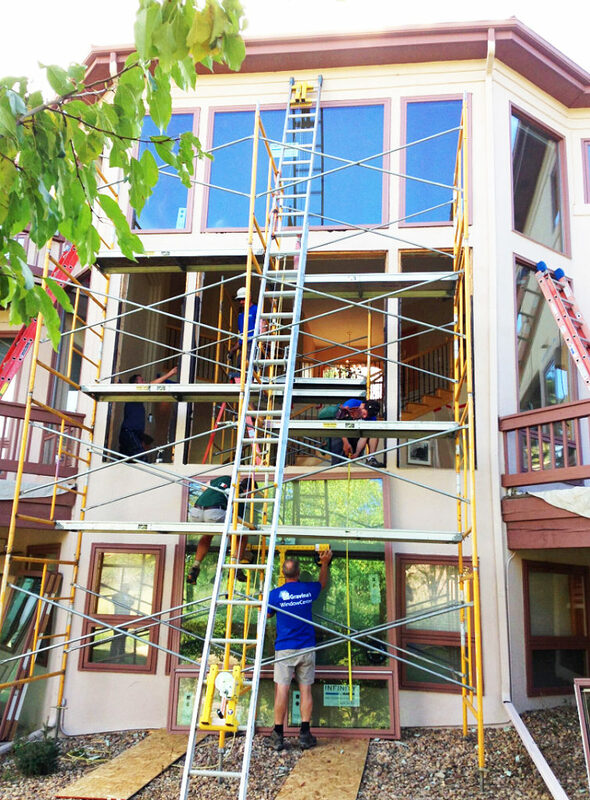 Sometimes homeowners help with a bigger windows. That's when Gravina's calls in the "enforcer", aka CRL Wood's Ladder Lifter! This window tool is the bomb for the bigger window replacement we do. 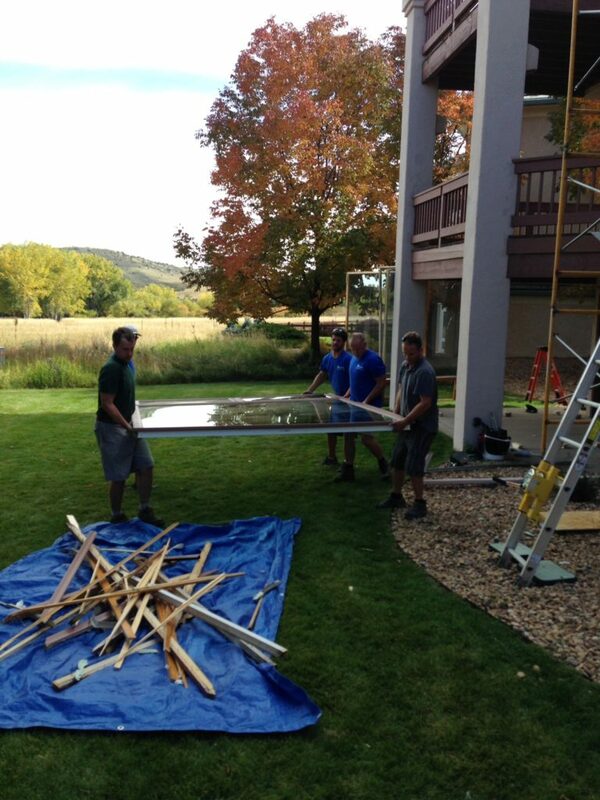 The job pictured below was a massive window wall in the Ken Caryl Valley that we installed. Scaffolding had to be setup, safety precautions put in place, and plenty of man power to do the job. First, these guys have to gameplan for a job like this. 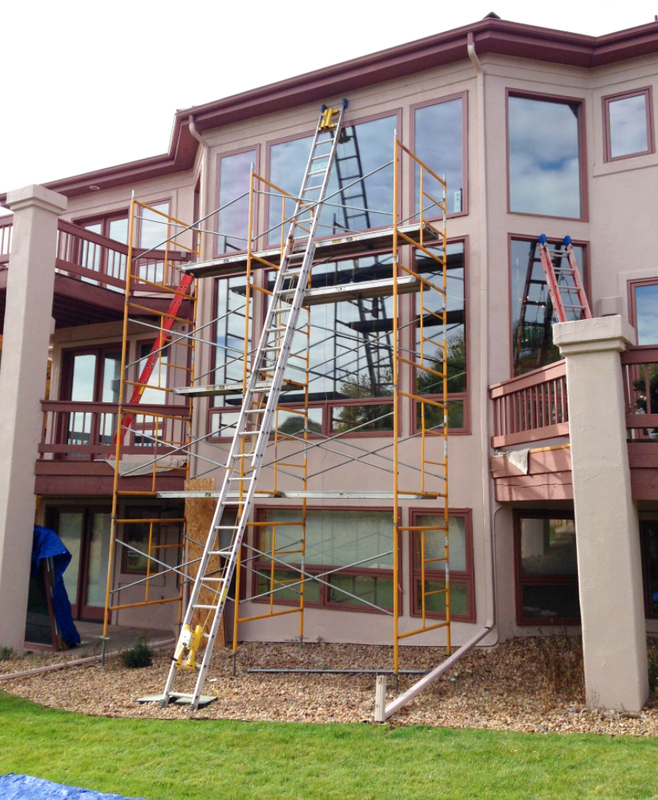 Installing retrofit windows into an existing structure can be tricky. This replacement window weighs around 400 lbs! 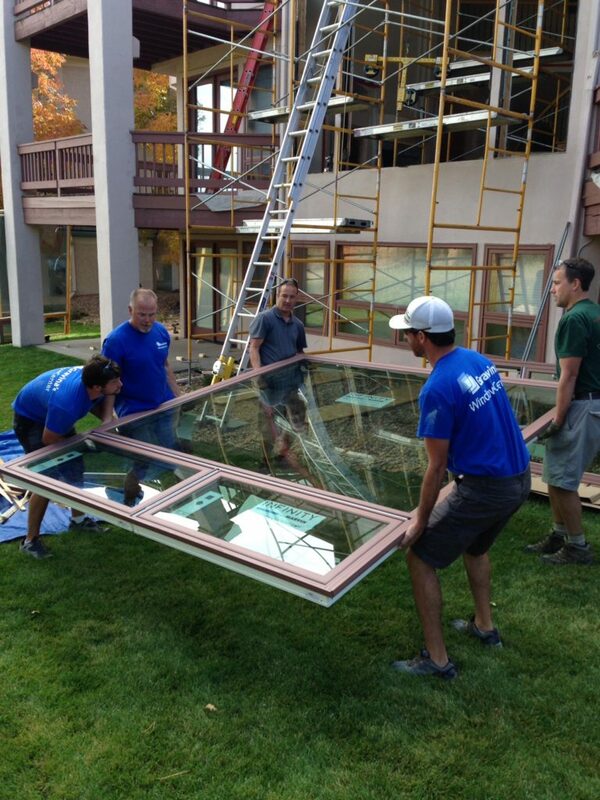 Jon Gravina and the team attempt to carry this beast of a window! The window is an Infinity from Marvin, fiberglass, 2 Wide Awning Picture window. It probably weighs in at 400lbs. That's 400 pounds of glass and fiberglass! Good luck gentleman. It's not that heavy is it? 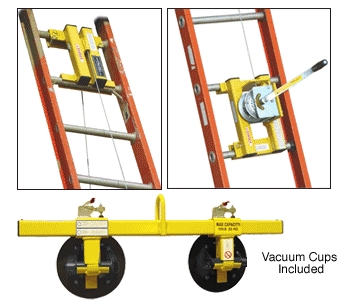 It is taking 5 of our installers to carry this bad boy. Notice the beautiful Ken Caryl Valley in the background. Existing windows have been removed and the new window is ready to be installed! 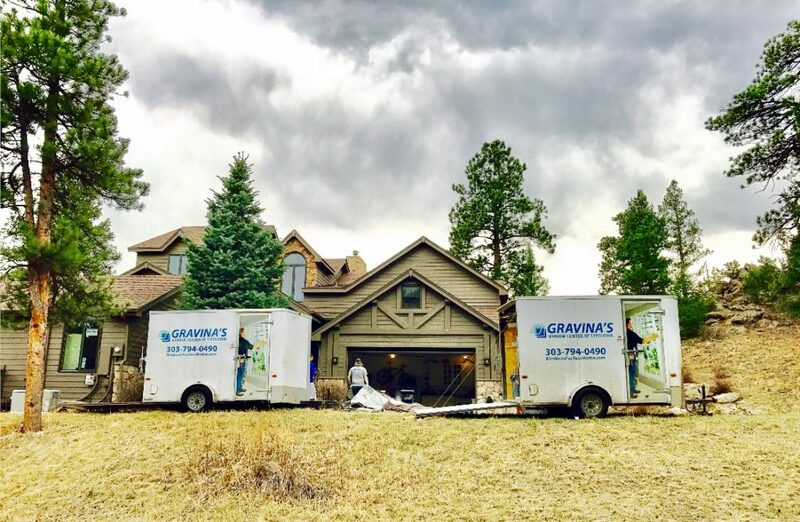 Great job Team Gravina!